Twitter just hired Omid Kordestani, formerly the chief business officer at Google, to be its new executive chairman. The move comes as Twitter looks to refocus and keep expenses down. 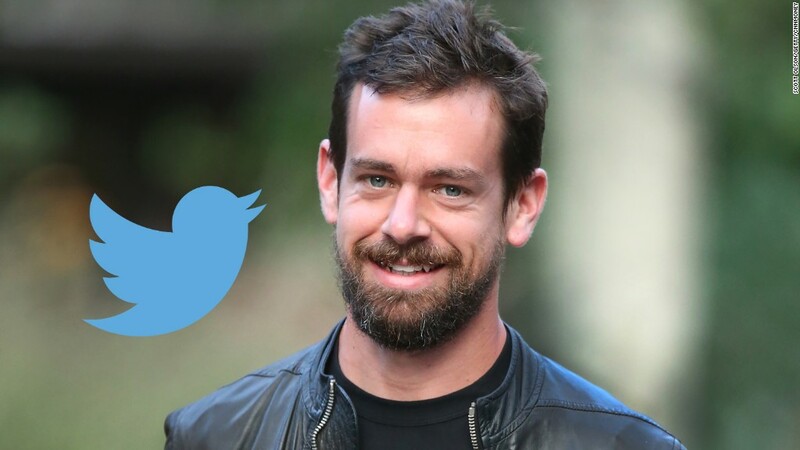 New permanent CEO Jack Dorsey just announced Twitter (TWTR) was laying off 8% of its staff on Tuesday. But based on how much Kordestani was making at Google, it may have cost Twitter a pretty penny to get him to come on board. Kordestani was one of the first employees at Google (GOOGL). He left the company in 2009 but came back to become the chief business officer last August. He was rewarded handsomely upon his return. According to Google's annual proxy filing for 2014, Kordestani received nearly $130 million in compensation last year. That made him Google's highest-paid employee. Kordestani received a prorated annual salary of $236,500, a bonus of $6.5 million and stock awards worth more than $123.5 million. Based on last year's prorated salary, it seems fair to assume that at a bare minimum, Kordestani likely made about $500,000 for his 10 and a half months work at Google this year as well. That does not include a pay raise either. A spokesperson for Twitter said that the company would reveal Kordestani's compensation in an SEC filing sometime within the next few days. It was not immediately clear how much Kordestani would be walking away from at Google, which is now part of a bigger parent company known as Alphabet. Kordestani's departure was effective immediately. A spokesperson for Google declined to comment on what would happen to Kordestani's stock compensation. "We're excited for Omid and very happy for Twitter. Omid was instrumental in establishing Google's business and helped us develop really close, longstanding partnerships across the industry," the spokesperson said. "We wish him every success in the years ahead." But money issues aside, the fact that Twitter was able to lure away Kordestani is a bit of a surprise. Kordestani's return was widely hailed by Silicon Valley as a great move for Google. Kordestani was dubbed "the soul of Google" in a story by Re/Code last year. And Kordestani, along with new Alphabet/Google CFO Ruth Porat, also won raves from analysts for how they handled the company's last earnings conference call in July. Google's stock soared following those results, and shares are up nearly 30% this year. Twitter, on the other hand, has fallen nearly 20% so far in 2015. Twitter has rebounded sharply since Dorsey officially took the top job. Twitter also promoted its widely respected revenue chief Adam Bain to be COO. And the company just unveiled a new feature called Moments that allows Twitter users to more easily follow big news events live. So Twitter's future looks brighter now than it did just a few weeks ago. But Kordestani is still leaving a proven winner for a company that remains an underdog. Twitter has been punished by investors because it doesn't have as many users as social media king Facebook (FB). Heck, it no longer has as many users as Facebook subsidiary Instagram. Dorsey has acknowledged that Twitter needs to do a better job of being easier to understand for neophytes so it can attract more users. And since Kordestani has been hired as an executive chairman, one would think he will be asked to come up with ideas of his own to improve Twitter too. He will be involved in the day-to-day operations. But there has already been criticism of Kordestani because he hasn't been a prolific tweeter. People pointed out -- on Twitter of course -- that Kordestani has only tweeted a dozen times since joining the service in March 2010. And four of those tweets were written Wednesday after the news of his hire was announced. Still, Kordestani's ties to Google may trump his lack of tweeting. Twitter and Google have forged a deeper relationship lately. Tweets now appear instantaneously in Google search results, for example. It's no secret that both Twitter and Google/Alphabet face a formidable threat from Facebook. There were even some vague rumors that Google might want to buy Twitter as Twitter's CEO search dragged on this summer. That no longer seems likely. But it wouldn't be a huge shock to see Twitter and Google working even more closely. Now we just need to find out how much Kordestani is worth to Twitter ... and if he can justify the presumably big paycheck he received for leaving Google.